Heading to the Wolverhampton Grand as part of its latest UK tour, Tim Rice and Andrew Lloyd-Webber's Evita is one of musical theatres most prolific and enduring success stories. In anticipation and celebration of the shows arrival in the Midlands, we headed to the Empire Theatre in Liverpool to interview it's two leads. 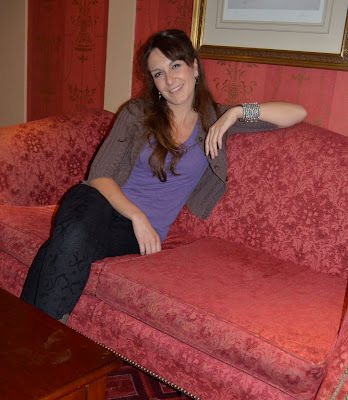 Interview Conducted Thursday 27th June 2013. It’s a dreary afternoon in June, typical British summer weather having brought with it a blanket of cloud and a continual deluge outdoors, casting a grey pall and darkness inside the ornate and suitably grand interior of Liverpool’s Empire Theatre. My fellow journalists and I lament the weather being so miserable for our trip to the former European Capital of Culture to see the latest incarnation of Tim Rice and Lord Lloyd-Webber’s musical colossus ‘Evita’ and to interview it’s two leads. Yet despite the rain and gloom, none of it seems to be phasing Madalena Alberto, who arrives with an effortless warmth and radiance, casually dressed yet undeniably comely, and who despite growing up in the sunnier climes of Lisbon, is quick to sing the praises of her new home-from-home. “London and England have been wonderful to me... it’s definitely where I spend most of my time, and it’s definitely where I want to work!” She explains with an irrepressible smile and an ease and earnestness to her words that do not feel remotely staged or rehearsed. Her enthusiasm for the UK is understandable, given that it was an unexpected encounter with a group of British thesps that begun her on her own journey into becoming an actress and opened up a whole new world of experiences that had not been available to her back at home. “I always wanted to be an actress but I lacked conviction, I didn’t have much confidence at all, I was very shy, but what happened to me was that I was in a dance school as a hobby and there was a performing arts college from London who came over to do a little workshop. They kept an eye on me throughout the whole week and at the end they said ‘You’re coming with us’ and they gave me a scholarship! co-star Marti Pellow will be coming soon! Having gotten the chance to watch Madalena’s genuinely remarkable performance in the current tour of Evita after conducting our interview, as well as listening to a selection of her own music, it isn’t difficult to imagine that this latest, highly prolific role is going to be just the latest stage in what will no doubt be a long, illustrious career for the modest, welcoming yet supremely talented Portugese actress. 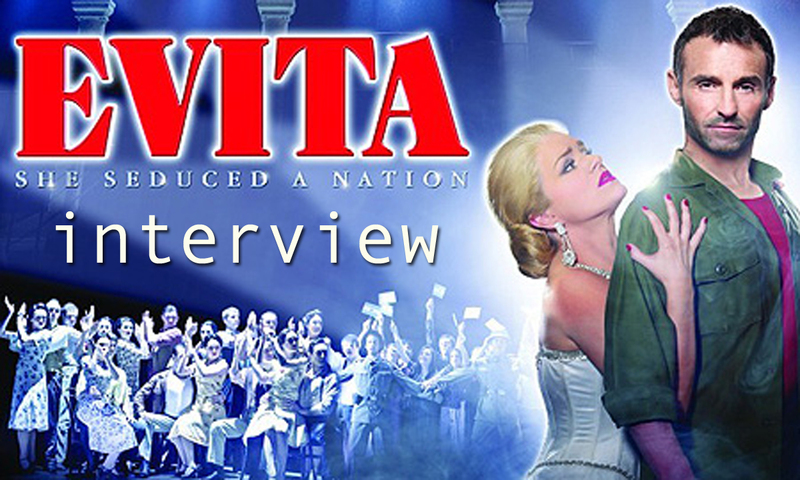 Evita is running at various venues throughout the country over the course of 2013 and we interviewed Madalena to promote the shows run at the Wolverhampton Grand where it will be performing from Monday 19th - Sat 31st August 2013. 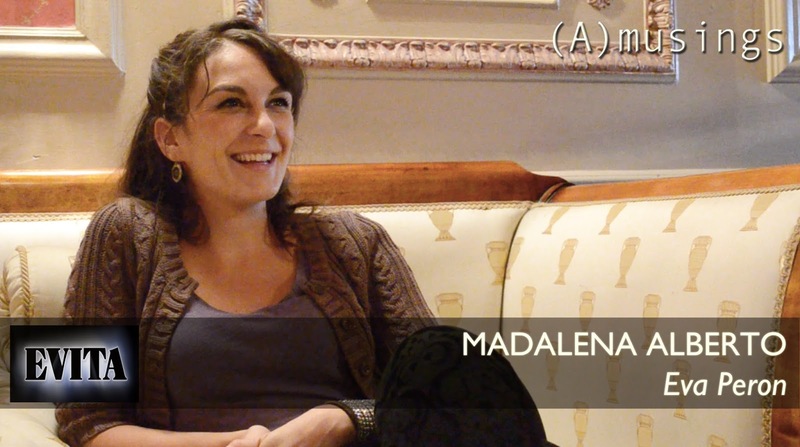 Stay tuned to (A)musings on Facebook, Twitter and of course here on our blog as our VIDEO interviews with Madalena and Marti will both be coming soon! 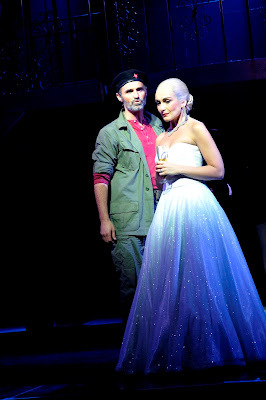 EVITA will be running at the WOLVERHAMPTON GRAND THEATRE from Mon 19 through to Sat 31 August 2013. For tickets call the Box Office on 01902 42 92 12. For more information on the show's run at the Grand and to book directly, click HERE. She sounds so lovely and down to earth :) I cant wait to see the show at the hippodrome in october, have heard so many good things we may have to book tickets for the grand as well. She was an absolute delight, a real professional yet so lovely and welcoming to talk to. She is also as mentioned simply brilliant in the show as well and definitely think it is a production and performance that can be seen and enjoyed more than once!